On Monday, The Fashion Spot released its full diversity report for the Fall 2019 shows, for which it examined the models that walked the runways in New York, London, Milan and Paris. As we wrote back in February when the publication reported its New York-specific findings, we await these statistics each season, anxious to see whether there was significant progress, stagnation or a step back in the wrong direction. The most recent numbers — for which The Fashion Spot examined 221 shows and 7,300 model appearances — reflect a complex mix of all of those outcomes. 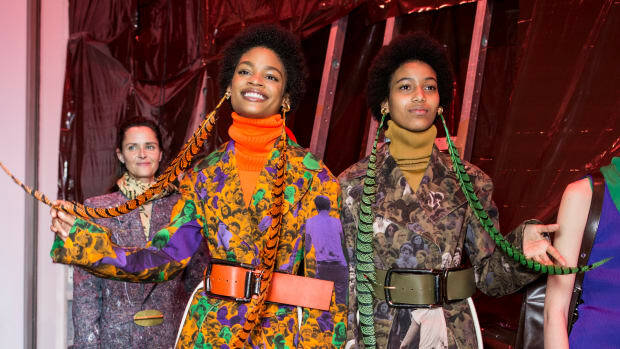 First, the good news: Fall 2019 marked a milestone when it came to racial diversity, with runways featuring more models of color than ever before. Approximately 38.8 percent of the models were nonwhite, a 2.7 percent spike from the previous season. As is almost always the case, New York led in terms of racial diversity, with 45.8 percent of the models cast identified as nonwhite. Not only was the Fall 2019 season the most racially diverse on record but nearly a third of the New York shows featured a 50 percent (or more) nonwhite model lineup. 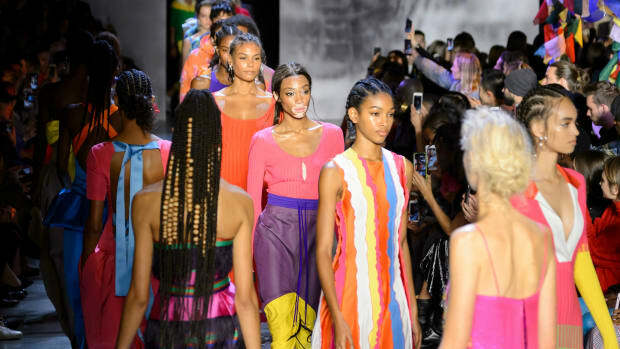 Paris saw a significant spike in the racial diversity of its models, edging out London (which has held the second-place spot in this category for two years) with 39 percent nonwhite models, a 6.6 jump from the previous season. London, on the other hand, saw a slight decrease in racial diversity, down 0.5 percent from the last season to 35.7 percent. 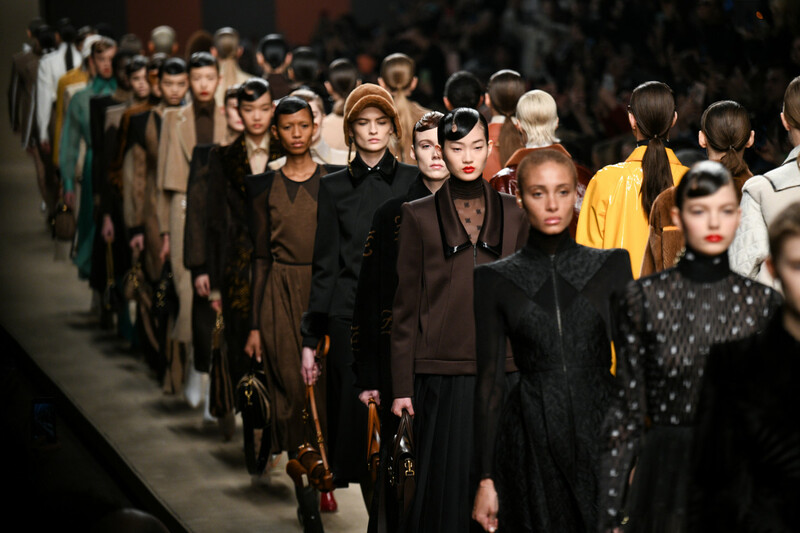 Milan regularly lags behind the other cities in terms of racial diversity, and the Fall 2019 shows were no exception, though there is some encouraging news out of the Italian capital: Although markedly less racially diverse than the other cities, Milan had its best season to date in this category, with a record 31.8 percent models of color — the first time the city&apos;s runways have broken the 30 percent marker for racial diversity. The Fall 2019 shows also made progress when it came to age inclusivity. Models over the age of 50 were still the least-represented of all the groups measured in The Fashion Spot&apos;s report, but the publication notes that "this was the only category outside of race to see an improvement, and no small one at that." The runways featured 36 models over the age of 50, as compared to 27 in Spring 2019 and 13 in Fall 2018. Where things were less encouraging were in the categories of size and gender. For Fall 2019, casting of plus-size models — a group that has been sorely under-represented across all cities&apos; runways for years — regressed, albeit only a small percentage. The Fashion Spot notes that only 50 plus-size models walked a total of 18 shows, four fewer than appeared on the Spring 2019 runways. New York (unsurprisingly) led the cities in terms of size inclusivity, with 37 of the season&apos;s non-straight-size castings occurring stateside, meaning the European shows continued to show little regard for body diversity amongst models. What&apos;s more, only six (!) shows across all three European cities featured any semblance of size diversity, and all but two of the non-straight-size castings outside the New York shows appeared on an American designer&apos;s runway (at the Tommy Hilfiger x Zendaya show). 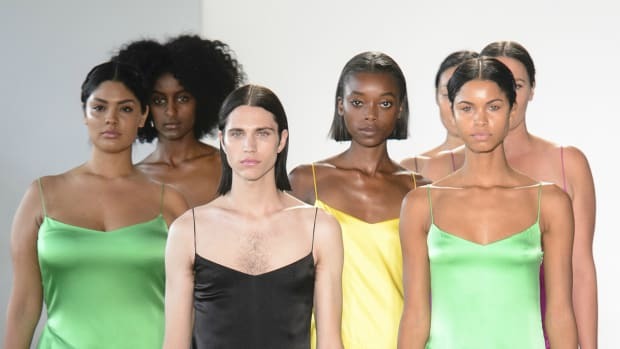 Representation for transgender and non-binary models also experienced a backslide for the Fall 2019 season, with an "abrupt decline" from last season&apos;s record 91 trans or GNC models to only 56 models who openly identify in those categories this time around. While it&apos;s disheartening to note that this is the first time since The Fashion Spot began tracking gender identity on the runways in Spring 2016 that the category has taken a step backward, the publication does point out that "season after season, trans and gender nonconforming models tend to land some of the most coveted runway gigs and consistently appear in a wider range of shows than their cisgender over-50 or plus-size peers." It&apos;s no shock — especially to anyone who has been paying attention to the many recent controversies and missteps — that the fashion industry as a whole continues to have a diversity problem, extending across various categories and geographic boundaries. But what&apos;s also become clear is that the public is no longer willing to overlook, accept or normalize these shortcomings. In recent years, we&apos;ve seen consumers, social media users and the news media become more vocal about their priorities when it comes to diversity in fashion — and we&apos;ve seen the business-endangering results of what can happen when companies don&apos;t heed these calls for inclusion. At this point, it&apos;s been well proven that diversity is just good business sense. Head to The Fashion Spot to read the full Fall 2019 diversity report. But size and age diversity decreased substantially, as compared to previous seasons. The casting of transgender, non-binary, nonwhite and plus-size models either decreased or only slightly improved on the Fall 2018 runways.